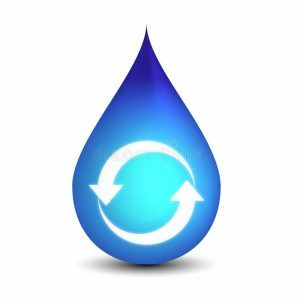 Interested in ramping up your water-saving techniques? There are plenty of opportunities to do so, starting with upgrading fixtures and equipment inside and outside of your home. Check out www.socalwatersmart.com for information about rebates on specific products, including those listed to the right. Be sure to check that site before making a purchase, as only certain products are eligible. Camrosa doesn’t directly administer a rebate program for our customers (more on that below); instead, we join with other water agencies online to cut out the middleman to make the rebate process more efficient. 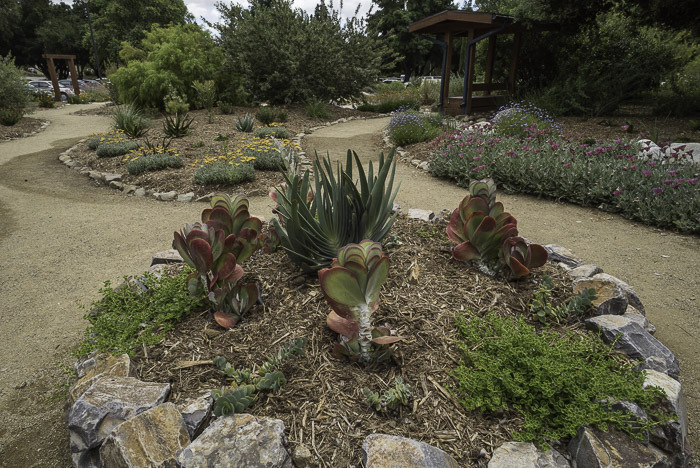 We often are asked about recommendations for individuals or companies that perform landscape design and / or maintenance, particularly when it comes to efficient water use. As a public agency, we’re not permitted to provide this type of specific information. 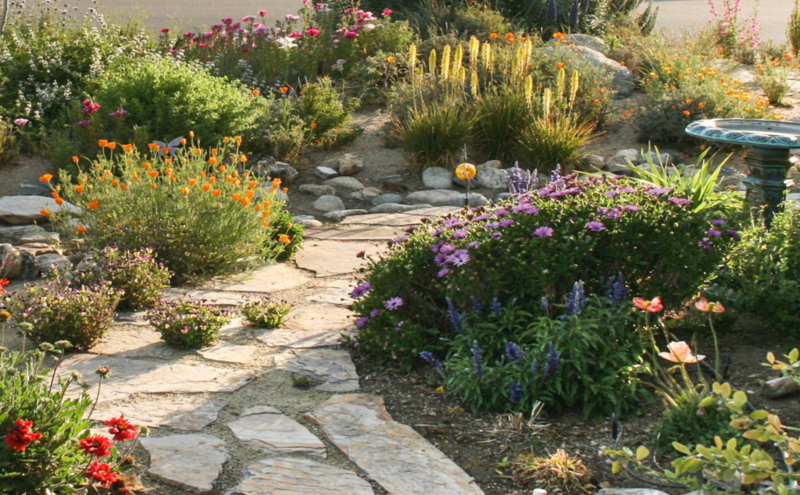 However, we encourage our customers to use the California Landscape Contractors Association Web site at www.clca.org as a resource. The CLCA is a non-profit organization of landscape professionals, many of whom are experience with water efficient landscapes. In addition, we offer as a free service to our customers an outdoor landscape survey, which consists of a professional evaluator visiting your home and reviewing your irrigation system for efficiency. Please contact Charlotte Lopez at clopez@camrosa.com or (805) 482-4016 for additional information. CONSERVATION VS. EFFICIENCY: WHAT’S THE DIFFERENCE? In Camrosa’s view, a lot. Although the two terms are often used interchangeably, at Camrosa, they have distinct and separate meanings. Conservation is the restriction of water use to a level that requires real sacrifice. We believe it should be reserved as a tool to be employed in times of emergency or extreme need. An example of this was the State’s 25 percent mandated cutback on water use during the recent drought — a goal that Californians, and our customers, achieved through deliberate and effective conservation practices. But once the emergency passes, the restrictions should be rolled back, which the Governor did in 2017. Efficiency, in our viewpoint, is the ideal amount of water for any given purpose or application, and does not require extreme measures to implement. These commonsense approaches and practices are sustainable and attainable —and that’s something that we all can and should encourage on a regular basis. One important point to note about wastewater from our customers’ showers, toilets, sinks, etc. is that every drop of that water is reused in our district for nonpotable purposes. CSUCI and nearby farmers use 100 percent of the highly treated recycled water we produce at the Camrosa Water Reclamation Facility to irrigate their properties. And the septic systems in the Santa Rosa Valley help recharge the Santa Rosa Groundwater Basin, which we depend on for a significant portion of our local groundwater production. These aren’t excuses not to be efficient, of course, but they are part of the reason that we direct resources to other programs and projects. We’re proud of our tight and tidy hydrologic cycle and work to make sure that every drop of water in the Camrosa service area is put to use. At Camrosa, our top priority is to ensure that our customers can depend on a resilient, diverse water supply portfolio, and that’s where we invest our energy—and your money—first. For more information on the above, see www.camrosa.com/water-self-reliance/.